The blog is all about Rudolph Valentino his life, his family, those who were affected by him and those countless of people who loved him for his craft. Through research and reading there is still a lot of information out there that is still unknown. In this blog, I hope you the reader enjoy through discovery the new and interesting things about Rudolph Valentino. 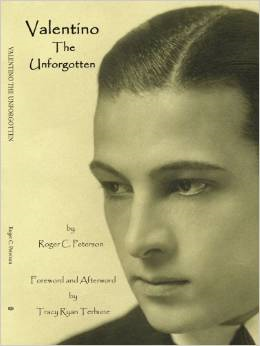 As a noted book collector on Rudolph Valentino one of my favorite authors is Mr. Tracy Terhune, Producer, Collector, Valentino Memorial Committee Member, and Author I recently reached out to him and he kindly granted me a short interview for which I humbly thank him. You are a noted Valentino collector, author and authority. What is your favorite item out of your collection and why?Since day one of collecting on Rudolph Valentino I have enjoyed collecting personal items that had a direct connection to him. He had such lavish exquisite taste in his cars and homes and furnishings within the home. I have several favorites but I will say that the ring he wore in The Eagle is my favorite. It was actually worn by him in three films (Sainted Devil, Cobra & The Eagle) However in The Eagle the ring played a minor part of the plot of the story. It was owned by Margaret Strong of the Strong Museum in New York. In the early 1980’s the Franklin Mint created a limited edition semi replica made out of black onyx and silver. Last year the Strong Museum which specializes in dolls decided to put it up for auction to fund their acquisition account. I am glad to say that I won the auction for it in Beverly Hills. Rudolph Valentino had many films. 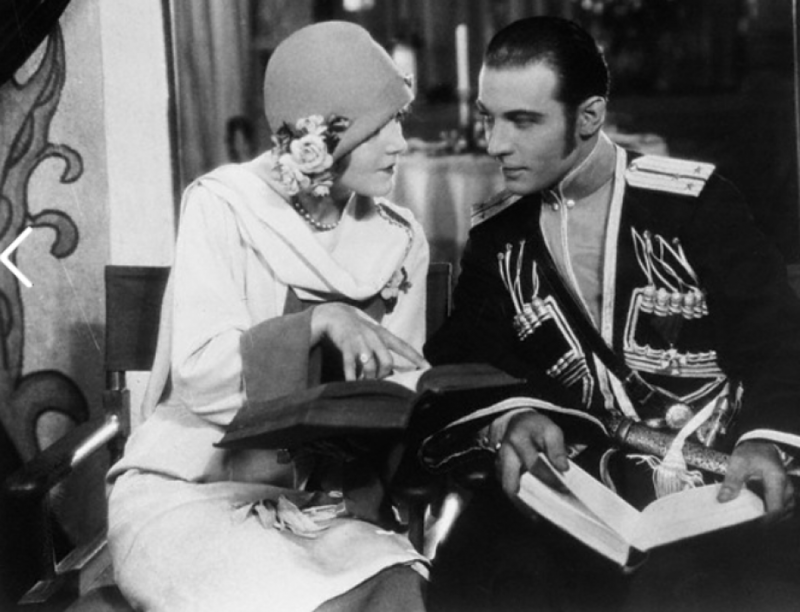 Could you please tell us what is your favorite Rudolph Valentino film and why? My favorite is Son of the Sheik. It’s his best in my opinion. But I also enjoy The Eagle, Beyond The Rocks, Camille and Moran of the Lady Letty. The Four Horseman is also another favorite. Tracy you are very active in the planning process with the yearly Valentino Memorial. Every year it is a monumental success and a true tribute to Rudolph Valentino. What inspires you to continue? What will be in store for this year’s Valentino Memorial Service? I am very proud of my involvement with the Valentino Memorial. It’s the oldest continuing annual event in Hollywood History. It has taken place every year since 1927, the first anniversary of his passing. This year will mark its 87th occurrence. The thing that inspires me to continue is to keep this charming yet quirky at times service going in a dignified and respectful manor. Yet, at the same time we want it to be fun and enjoyable. We always strive for the right mix. I have never had anyone who actually attended one of the Valentino Memorials ever complain that we did something in poor taste or disrespectful to Rudy. I am pleased that in recent years two members of the Valentino family accepted the offer to be our guest speaker. They openly expressed gratitude and their praise for the Valentino Memorial Service. That meant a lot to me on a personal level. Tracey will you be writing any future books on Rudolph Valentino? Or any other projects you would like to share? I have a couple of projects in the works, but mainly my goal this year is to get my website back up and running again. Its’ been down for a couple years and I’d like to get that done. I have also talked very briefly with Kevin Brownlow’s company about releasing The Eagle on Blu ray. The original camera negative survives and the print from it is razor sharp. It’s almost a crime that it sits unreleased due to the funding it would cost for a high resolution scan and the Carl Davis score. I hope you enjoyed this interview folks. I am hoping to feature future interviews in this blog of other noted Valentino authors.